The Associated Chambers of Commerce and Industry of India (ASSOCHAM) report on The Textiles and Apparels Industry – Contributing to “Make in India” released in October 2015 pegs the Indian textile industry at an estimated USD 108 billion that is poised to reach USD 223 billion by 2021. The report mentions that this is one of the largest contributors to India’s exports with approximately 11% of total exports worth USD 41.4 billion. Currently, the industry accounts for approximately 5% of India’s GDP and 14% of overall Index of Industrial Production (IIP), thereby emerging as the second largest employer in the country. The report adds that however in order to leverage the vast potential of this vibrant industry, it is critical for the Government and Industry to work towards addressing key challenges including obsolete machinery and technology, threats to handloom sector, power shortage, illicit markets, labour related concerns, excise duty on manmade fibers, raw materials shortage and lack of quality infrastructure in non-metropolitan cities. 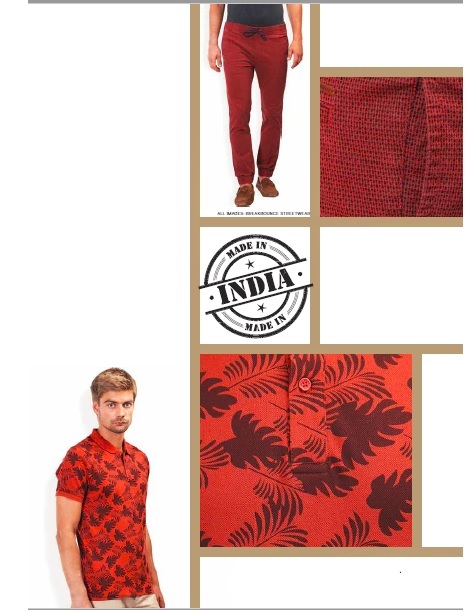 With its rich historical and cultural background, India is a treasure house of apparel. However the share of apparel in the export basket is quite less. So what is hindering Indian apparel exports and how do we increase the share of apparel exports in the total export basket? Read on to know more. The composition of the domestic textile sector itself poses a challenge as 80% of the textile sector is still unorganised and includes a majority of handloom weavers, power loom weavers and handicraft artisans. The challenge is in getting them mainstream and ensuring they get proper training skills and design inputs. Also manufacturers in the unorganised textile sector are facing lack of access to credit and working capital. In the 20% organised sector the situation is no better as there is a lack of FTAs with existing key markets like the European Union, Australia and the United States which puts them in a state of competitive disadvantage. As far as the value chain itself is concerned, the manufacturers are unable to capitalise on their capabilities. Since the focus is on exporting yarn, cotton and fabrics and less of apparels, there is still a long way to go when it comes to exports of real value added products from the country. India’s merchandise exports have a narrow foundation with the top 20 categories accounting for 78 percent of the total. 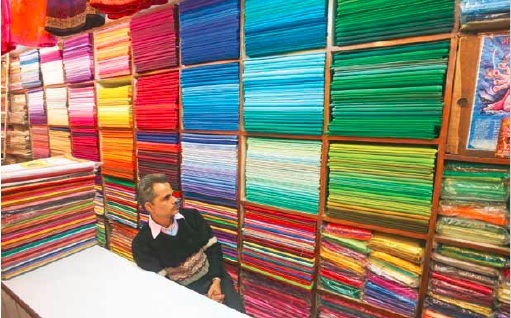 Also India has not imposed any sourcing restrictions even for sensitive items like textiles granting unilateral duty free market access to countries like Bangladesh when restrictions would have helped its export of textile intermediates. The government has set the country’s clothing export target at $18.70 billion for the current fiscal but achieving the garment export target would be tough unless the government provides adequate policy support. These include provision of subsidies as the recently-announced foreign trade policy for 2015-20 has abolished certain export subsidies. Stagnating demand from Europe, which accounts for almost 41% of the country’s garment exports, chances of a free-trade agreement with the EU still remote, the shipment target for the current fiscal would be hard to achieve and competition from Vietnam, Bangladesh and Cambodia are also complicating matters. Indian mills have to bear an export duty of 9.6% for supplies to Europe while Bangladesh and Pakistan have zero-duty access to that market. “The higher cost of raw material and labour shortage resulting in higher cost of production keeps the demand low. Lack of government subsidies is a major roadblock which needs to be addressed in order to boost apparel exports,” says Mukhija. The recent garment workers’ violent stir in Bengaluru caused by the central government making a controversial provident fund amendment is a significant indication of the problems faced by workers in this unorganised sector. This apart there are technology issues that pose a big challenge for India’s apparel exports. There is an urgent need for bridging the gap in the value chain so that Indian exports comprise of apparels rather than cotton and yarns. There is also a demand for creating a robust, efficient marketing platform for Indian manufacturers. India, owing to its integrated cotton value chain, has the advantage in production. “However countries like Bangladesh and Vietnam are preferred markets due to cost advantages due to free trade, There isn’t any duty benefits given to Indian exporters and hence to drive this category it is important that Government steps up to provide more subsidies and benefits of free trade,” says Mukhija. The list of reforms required includes reducing tariffs, easing labour norms and promoting foreign investment. There is also a need for the Government to step in to help the apparel sector connect to global value chains and consider joining mega free trade agreements (FTA) to get preferential access to large, lucrative markets like the U.S. according to a World Bank report titled ‘Stitches to Riches’ Apparel Employment, Trade, and Economic Development in South Asia. There is also an urgent need to ease barriers to the import of manmade fibres, facilitate market access and encourage foreign investment more markets. Incidentally, the import duty on manmade fibres is currently at around 10 per cent, while competing markets like Sri Lanka have no such charges. The report says that India has several things holding back a big export surge, ranging from higher wages (hourly wages in India were $1.06 in 2012 vs $0.51 in Bangladesh) to lower productivity (India is ranked #6 in a buyer perception survey versus 3 for Vietnam), longer lead times in deliveries (India is ranked #6 versus 2 for Vietnam), poor presence in synthetic fibres compounded by high import tariffs on them. Recently the Cabinet has sanctioned the draft Amended Technology Upgradation Fund Scheme (ATUFS) that is believed to help in offering technical support for machinery to textile manufacturers as the focus will be on fabric and apparel making segments. This should encourage manufacturers to do value additions within the country and help the country to move up the value chain. Apparel exports are estimated to hit $ 20 BN by end of FY 2016. So it is high time that the Government intervened to make sure this target is achieved sooner than later.